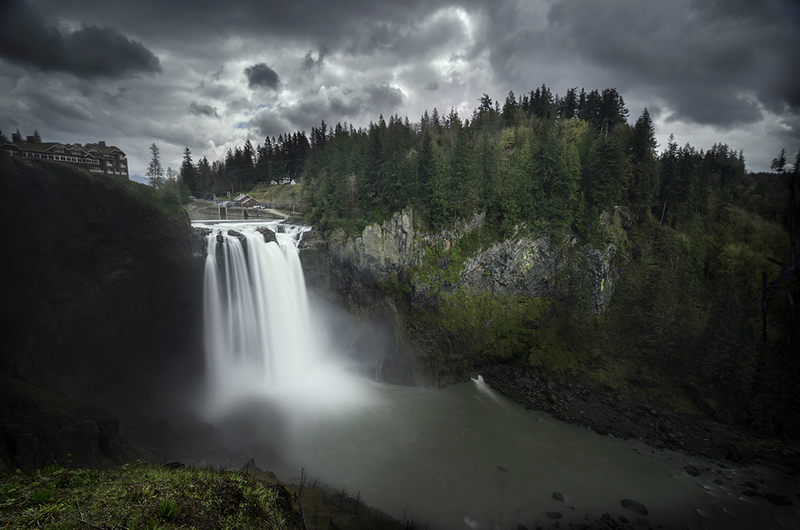 Snoqualmie is the English pronunciation of “sah-KOH-koh” or “Sdob-dwahibbluh,” a Salish word meaning moon. As a spiritual place, it gave birth to many legends. One tells of “S’Beow” (the beaver), who climbed into the sky to bring trees and fire down to earth. The Native Americans who roamed the valley were known as people of the moon. Josiah Merrit (“Uncle Si”) built a cabin at the base of a local peak in 1862 (the peak became known as Uncle Si’s mountain — now Mount Si). He raised vegetables and hogs and kept an orchard. According to local historians, he was a rugged man who sometimes hauled bacon to the large settlements.